This should be a warning sign to the American people, since political leaders and their families, like the rest of us, are not immune from firsthand encounters with highway tragedies. President Clinton’s biological father died after being ejected in a car crash in the 1940s. As a teenage driver in the 1960s, Laura Bush struck and killed a family neighbor in a crash. President Obama’s father died in a car wreck in 1982. In 1972, Vice President (then U.S. Senator)Joseph Biden’s wife and infant child were killed in a car-truck collision. Republican presidential nominee Mitt Romney, as a young Mormon missionary, was severely injured in a collision in France that killed another passenger. These experiences mirror those of millions of ordinary Americans, yet they have failed to prod the nation’s policy leaders into aggressive action to stem the carnage. Despite more than 30,000 deaths and more than 2.2 million crash injuries per year, highway safety has largely fallen off the political radar screen. Since 1965, when President Lyndon Johnson publicly confronted a hostile auto industry by demanding, and getting, new laws governing the safety of automobiles, more than two million Americans have died of crash injuries. Since then no president has taken a forceful public stand in favor of strong government action to counter the death toll. The laws promoted by Johnson and subsequent regulations and policies have helped, leading to safer auto designs, better roads, and drunk driving and seat belt laws – proving that good government can save lives and livelihoods. But crash injuries are still the leading cause of death to children, teenagers and young adults, and a major cause of violent death for all age groups. Since 1981 — when the Reagan administration put coal industry lobbyist Ray Peck in charge of the National Highway Traffic Safety Administration, attempted to revoke air bag regulations, and cut the agency staff by one-third — the agency has been increasingly captive to the industry it was formed to regulate. In place of decisive action, the government’s severely underfunded, industry- influenced highway safety efforts are routinely reactive, accomplishing too little, too late, for too many Americans. When the auto industry began marketing unstable, top-heavy SUVs in the 1980s, NHTSA, part of the U.S. Department of Transportation, refused to adopt vehicle regulations limiting the rollover risk of such vehicles – which ended up contributing to some 10,000 deaths a year in rollover crashes. When Toyota drivers experienced sudden unintended acceleration episodes, NHTSA lacked the resources and expertise to address the complex but foreseeable risks of sudden acceleration from sophisticated electronic controls now standard in new vehicles. Although current Transportation Secretary Ray LaHood and NHTSA Administrator David Strickland have highlighted the perils of driver distraction, car companies still are racing to add infotainment features to new models – some of them featuring video display screens on their instrument consoles – that are bound to further divert drivers’ eyes and attention from the road. The mounting safety risk from infotainment systems seems to be widely viewed as inevitable and beyond society’s ability to control. Meanwhile, Texas has adopted an 85 mph speed limit for a soon-to-open toll road, a move likely to be copied by other states, but that would be off the table if safety was a prime concern. What underlies the widespread toleration of highway mayhem by politicians, regulators, and the public? Political indifference has a high cost in lost lives, livelihoods and wellness. 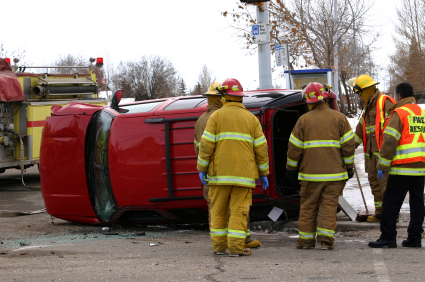 If the commitment were there, we believe that hundreds, if not thousands, of lives could be saved by a single measure: making electronic automatic crash notification systems standard, thus reducing delays in treating seriously injured crash victims. But for whatever reasons, this country lags far behind other advanced nations in coming to grips with the problem. According to World Health Organization estimates, per capita road deaths in many countries are well below the U.S. Yet there is no demand to draw lessons from other countries to take tough steps that would protect American motorists. From 2008 until early this year, U.S. road deaths fell substantially – in part due to the great recession — setting the stage for further complacency. But in the first quarter of this year the deaths turned upward, doubtless signaling an increase in driving as the economy began to modestly improve. If the upward trend continues, it will be a further signal to policymakers that the U.S. needs to be doing much more to curb lethal violence on its highways.